Manchester United return to Premier League action tomorrow lunchtime with a trip to Anfield to take on rivals Liverpool. Avoiding defeat would guarantee us top spot in the table prior to Manchester City taking on Stoke City at 3pm the same day. Liverpool have been hit and miss this season, already seven points behind us after seven games and with only West Ham and Crystal Palace having conceded more goals heading into the weekend. We’ve kept six clean sheets in our seven Premier League games this season and David de Gea has produced a couple of man of the match performances versus Liverpool in the past. He’s a certainty to start. Did not feature in Ecuador’s defeat to Argentina Tuesday night so Antonio Valencia should be fresh for the weekend. The right-back will be looking to prevent Philippe Coutinho causing a threat down our right whilst also taking advantage of Alberto Moreno’s poor defensive abilities when pushing forward. Coutinho did play for Brazil on Tuesday night so he may not be so fresh himself. Had a knock that kept him out of England duty over the past week so Phil Jones should be available for us this weekend. He’s produced some excellent blocks and interceptions in playing the full 90 minutes in all seven of our Premier League games so far. One of the best defenders in the league right now, Eric Bailly will be looking to prevent Liverpool’s striker from seeing many sights on goal as he has done with most opponents this season. The Ivorian should also be alert to Mohamed Salah cutting in from the right wing on his left foot. 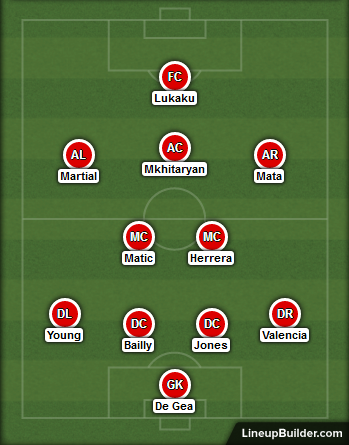 Jose Mourinho has a big call to make at left-back because Liverpool’s best attacking threat comes down this side. I think Ashley Young’s pace will get him the nod ahead of Daley Blind. If correct, the winger-come-full-back needs to be careful about bombing forward as he loves to do. Paul Pogba, Marouane Fellaini and potentially Michael Carrick’s absences open a path for Ander Herrera to get back into the starting lineup. The Spaniard does love to dive into tackles which is something that could be a red card risk in this fixture. He’ll help us dominate possession too. The Liverpool centre midfield trio of Georginio Wijnaldum, Emre Can and Jordan Henderson is overrated in my opinion. I think Nemanja Matic will dominate the midfield battle tomorrow. The Spaniard has had some excellent performances against Liverpool in the past and his ability should make a fool of Alberto Moreno if his fellow countryman starts for the Merseysiders tomorrow. Two good reasons why Juan Mata should start ahead of Jesse Lingard. A couple of quiet games recently but I think the Liverpool defence is a perfect opposition for Henrikh Mkhitaryan to face. The Armenian should have much joy finding space between Can, Henderson and the defence and shouldn’t have many problems picking them apart either. 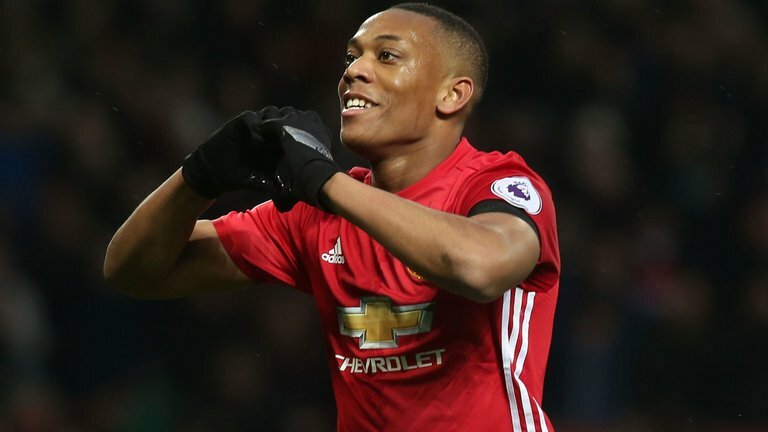 As Marcus Rashford played both games for England over the past week and Anthony Martial was left out by Didier Deschamps for his France squad I think we’ll see the French forward start against the club he scored against on his Premier League debut. I have full faith in Martial destroying the Liverpool back four too. Seven goals in seven Premier League games hasn’t been enough to satisfy Gary Neville who has this week challenged Romelu Lukaku to score in the big games, starting with Liverpool this weekend. I don’t think the Belgian will be short on supply and I do think he’ll score against Dejan Lovren and Joel Matip. Click here to get 40/1 on Manchester United beating Liverpool!